We’ve launched our National Conference on Ending Homelessness website! Online registration, scholarship applications and a call for presentations are now open for CAEH19 in Edmonton from November 4th to 6th. 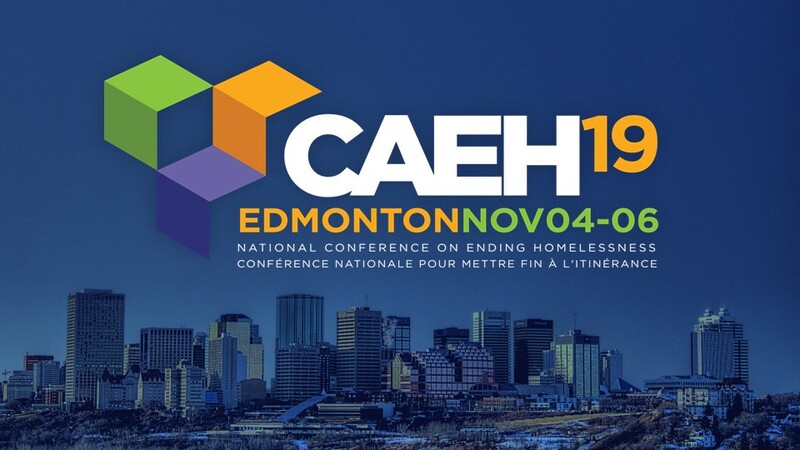 Are you counting down the days to the 2019 National Conference on Ending Homelessness in Edmonton? Have you put it in your calendars for November 4th to 6th? We’ve expanded the CAEH19 program to offer 84 concurrent sessions over the two-and-a-half day conference. In an effort to stay on top of new developments in Canada’s homelessness landscape, we’re introducing some new programming. Check out our program at a glance! Reflecting the changes to the program streams, we’ve now opened up the call for presentations! The aim of our conference is to support and accelerate an end to homelessness in Canada. We want to equip conference attendees with information, tools, national connections, and the training they need to end homelessness. We want attendees to walk away with concrete actions they can take to end homelessness in their communities. Please consider all of this when submitting your proposal. This conference is an opportunity to meet collectively and exchange learning, best practices and strategies from a growing Canadian and international body of knowledge on ending homelessness. Please note: we are calling for submissions to be sent in earlier than previous years. Submission deadline is March 31, 2019. The CAEH will be offering a lived experience scholarship program so people with lived experience of homelessness can participate in the conference. We have a limited number of scholarships available. Applicants may be currently or formerly homeless. Scholarships include airport transportation, airfare (or appropriate alternative), hotel accommodation for up to four nights, conference registration and a small per diem. Financial support for childcare at home while attending the conference is available on a case by case basis. Young people under 18 may apply but must be accompanied by an adult. Adults accompanying youth scholarship recipients (under 18 years old) will be responsible for their own travel, accommodation and registration costs. The Paula Goering Memorial Scholarship was established to support students and Housing First service providers to attend the annual National Conference on Ending Homelessness. The scholarships are awarded each year to two students and two Housing First practitioners who share Paula’s passion for ending homelessness and her commitment to research and evidence-based practice. We’ve also updated the accommodations section of the website, including venue information, where to stay and how to get there. The conference is taking place at the Edmonton Convention Centre in the heart of downtown Edmonton’s river valley. Find out more about the City of Edmonton. We’ve also secured special rates for conference participants at several hotels within a short walk of the convention centre. The National Conference on Ending Homelessness is a diverse, inclusive, accepting and safe space for everyone. We welcome participants from all backgrounds, including people of colour, marginalized groups, and those of diverse sexual orientations and gender identities. We have taken steps to ensure the inclusion of LGBTQ2S people by adding space on all conference name badges to include pronouns, designating gender-neutral bathrooms and featuring diverse presenters, organizers and presentations. We recognize that our valued LGBTQ2S and non-binary community members regularly experience discrimination and violence in their daily lives simply for existing, and such behaviour will not be tolerated. If you have suggestions on how we can make the National Conference on Ending Homelessness a more inclusive space, please let us know.